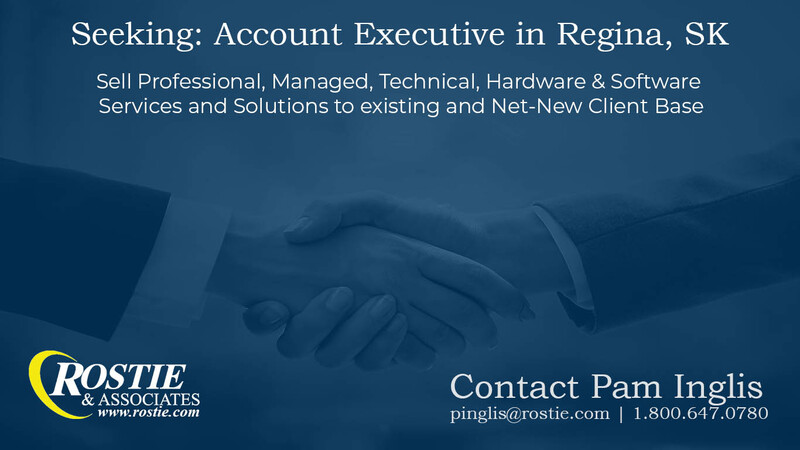 Account Executive - Rostie & Associates INC.
Our client, one of the top leading services organizations in Canada - known for providing superior service to their clients is seeking an Account Executive in the Regina area. In this position you will be responsible for developing sales of Professional, Managed, Solution & Technical Services, hardware and software primarily to existing accounts. Responsibilities include: Individual lead qualifying, cold calling, prospecting, account planning, account management and sales forecasting; Develop new and manage existing client relationships; Ability to orchestrate company resources efficiently in a team selling environment; Manage client relationships through effective and aggressive territory management. Qualifications include: Proven business development skills growing and maintaining relationships at various levels; Experienced in implementing sales techniques through training, self-motivation and dedication; Enjoy working in a team environment as well as an individual contributor with total client commitment; Must possess a drive to succeed, work ethic, team orientation and excellent aptitude for learning; Experience working for a Value Added Reseller.